The “Better Block PDX” project is a community reactivation effort that temporarily demonstrates how to improve public space and street life with pedestrian and public infrastructure. For one weekend, Better Block PDX installed pedestrian improvements, created seating areas, and provided landscaping and street furniture at a popular intersection. 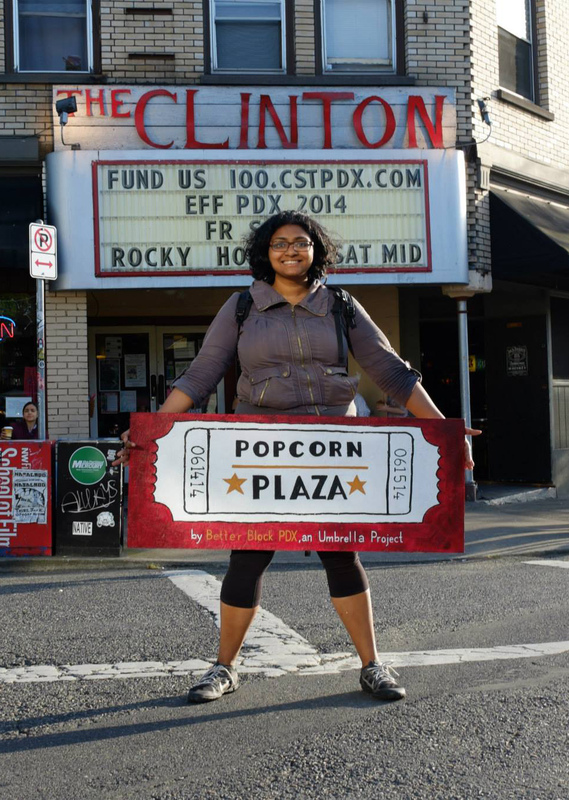 The “Popcorn Plazas” were inspired by the renowned Clinton Street Theater, and merged community space and public seating areas. Two temporary pop-up public plazas were installed at the intersection 26th and Clinton. Better Block PDX aims to create quick, inexpensive, high-impact changes that lead to permanent solutions for areas in Portland.